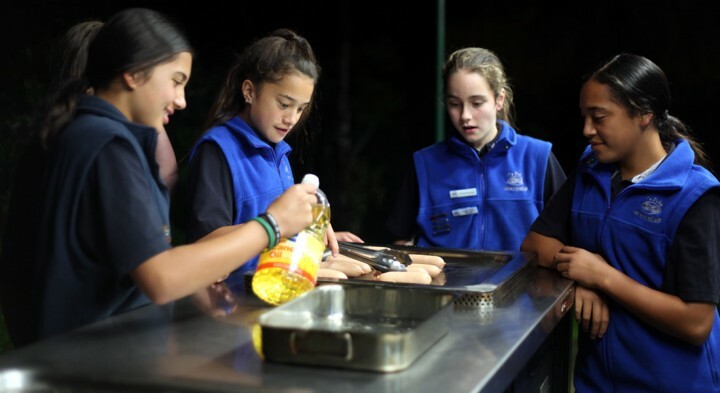 Camp Elsdon is a friendly, family camp set in a peaceful native bush area overlooking Porirua Harbour. Wake up to native birds singing in a rural setting within a city. 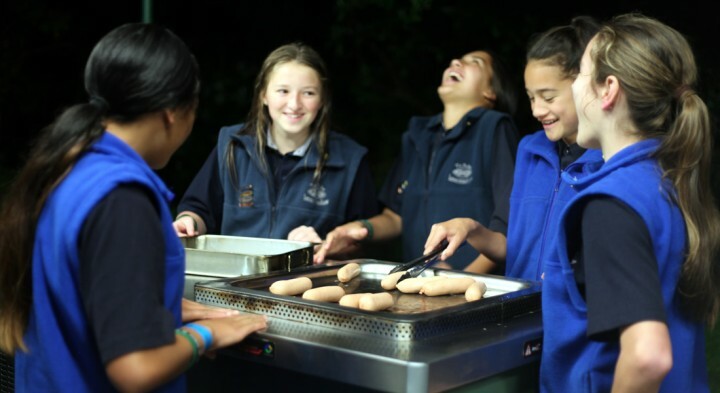 The Camp is located at the entrance to Colonial Knob Reserve which offers native bush walks/bike tracks (some energetic) to panoramic views of Porirua and its twin harbours, Wellington, Kapiti and the South Island. It is also handy (1 km) to the local Porirua City centre, shopping and amenities and is 1.5 km from Porirua Railway Station. 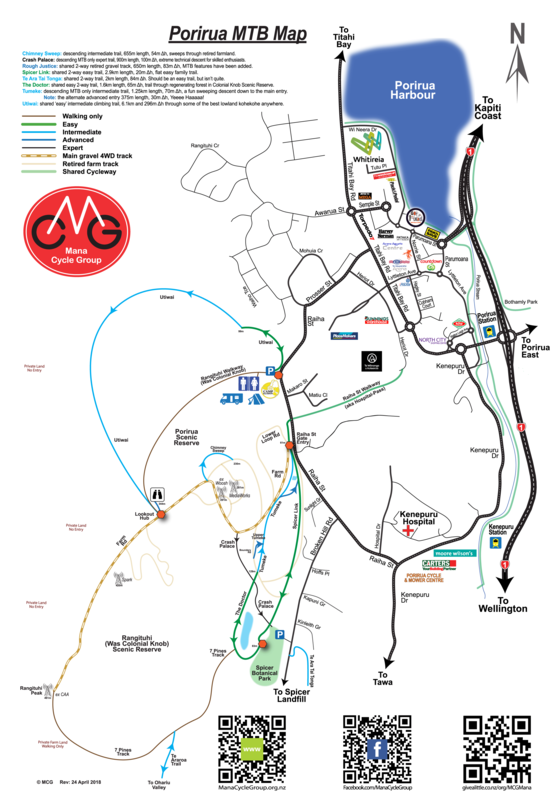 We are close to State Highway 1 and 20 minutes (18km) from the Picton (Interislander and Blue Bridge) ferries. We cater for casual or group bookings (20 to 90 plus). Our facilities include a Lodge, dormitories, and campground with campervan and tent sites. Other amenities include a laundry, dump station, field area, ample parking for buses and cars and resident donkey and miniature ponies who enjoy being fed. We can also do pets by special arrangement. Local attractions include Te Rauparaha Arena and Aquatic centre (with hydro slide/wave machine), Go Karts, ten pin bowling, and miniature golf at Pirates Cove. We can provide catering for large groups. We also have Wifi available. Camp Elsdon is a charitable incorporated society administering what was known as Elsdon Methodist Youth Camp which began in 1954. We are a simple and convenient low cost camp with a keen “youth” camp tag. 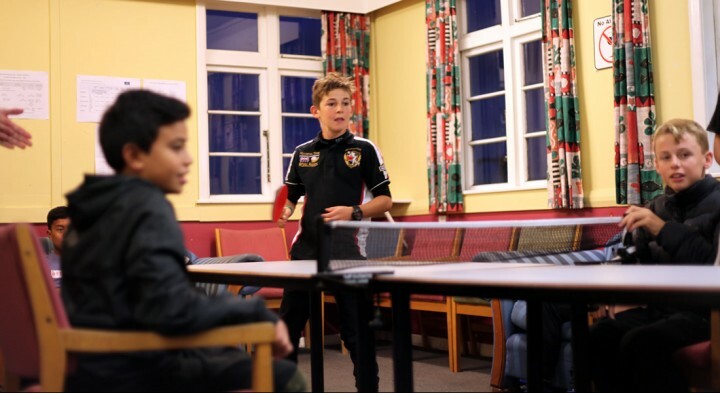 The camp is open all year long and provides group, team, youth and casual accommodation and is used by school, church, sports, dance and community groups, and by individual families and overseas tourists. 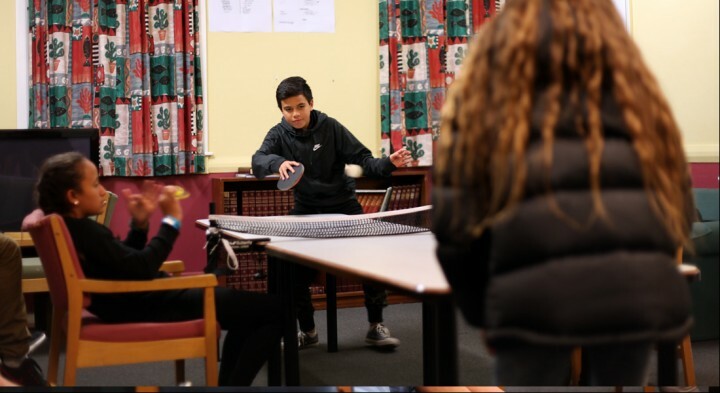 Camp Elsdon occupies 5.5 hectares of DOC land located on the foothills of western Porirua and is surrounded by the native bush of the Porirua and Colonial Knob Scenic Reserves. It is also a good base and allows for easy access to city, urban, rural, industrial, bush and coastal environments and is close to essential services. LOCAL ATTRACTIONS: Camp Elsdon is a 5 minute drive or easy 15 to 25 minute walk to the local Porirua City centre and other local attractions such as Te Rauparaha Arena and Aquatic centre (with hydro slide/wave machine), Pataka Museum, Go Karts, mini golf at Pirates Cove, and 5 minutes drive from North City Ten Pin (bowling) and 10 minutes drive away from the NZ Police Museum and multi level confidence course at Adrenalin Forest. Porirua City centre offers a full range of supermarkets and shopping malls at North City Plaza and The Mega Centre. 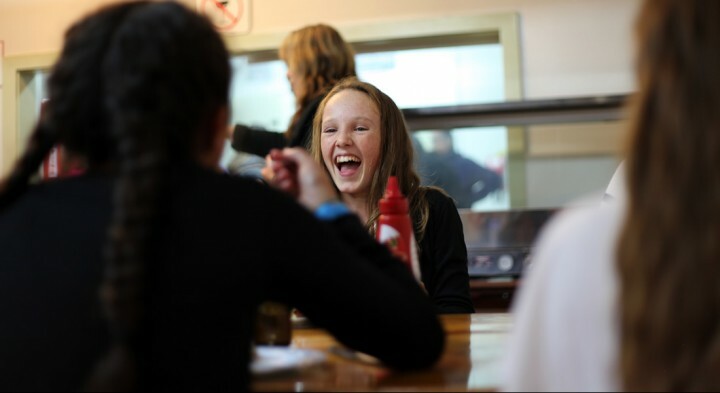 Local restaurants offer a range of cuisine as well as all main stream fast food outlets. Movies are available at Reading Cinema in North City Plaza or 20 minutes drive away at the lovely Lighthouse Cinema beside Pauatahanui Inlet. On Saturday mornings the Porirua Market opens at 5am – 10am in the city centre car park and offers tantalizing, freshly cooked Pacific, Asian and Māori foods as well as fresh fish, vegetables, flowers and other goodies. DISTANCE TO WELLINGTON: Wellington is easily accessible from Porirua City, which is 20 kilometres north of Wellington City on State Highway 1 which is the direct motorway link to Interislander and Blue Bridge ferry terminals for ferries travelling across Cook Strait to Picton in New Zealand’s South Island. The drive to Wellington usually takes 20 minutes. Porirua City also has a direct railway link into Wellington City. FIND/CONTACT US: Camp Elsdon is located on the western side of Porirua, tucked up into the edge of the Colonial Knob Reserve (behind the Elsdon Industrial area). Access is via Prosser Street from Titahi Bay Road (see ‘Booking Inquiry’ page for map*). Coming from the North take the second off ramp after the Traffic Lights turn right at the main roundabout/interchange and follow the blue camp ground signs. From the South take the Porirua, Titahi Bay off ramp (onto the main roundabout/interchange) turn left and follow the blue camp ground signs. Click on the link below to view a man of central Porirua mountain bike trail that runs past Camp Elsdon. 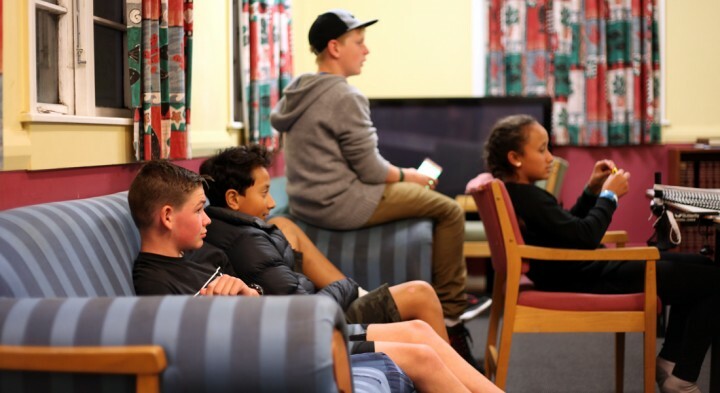 The Kowhai Lodge is a restored military barrack with 24 separately lockable twin rooms (which each have two single beds) and sleeps a total of 48 people. Men’s and Woman’s toilet and shower facilities are located in the middle of the Lodge. There is also a disabled toilet/shower included in the facility. A lounge and kitchenette is also available for those staying in the Lodge. The Lodge is primarily used for group bookings but individual casual bookings are welcome as group bookings permit. We provide a bottom sheet, pillow and pillow case – you just need to bring all other bedding. 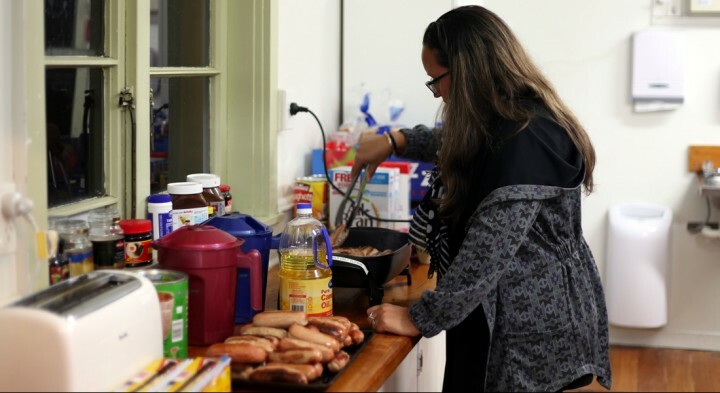 We offer a self catering kitchen/dining facility for group bookings and have a communal kitchen facility (where you bring your own utensils, crockery, pots etc) for casual bookings. We have 2 Dormitories which are restored military bunkhouses. Each dorm sleeps up to 15 people (spread across 7 single bunk beds and one single bed) and have two toilets and two showers and a small table and handful of chairs. The Dormitories are usually used by groups, but casual bookings for a minimum of 8 people or more are welcome as group bookings permit. We have five cabins which sleep from 2 to 7 people. Two of the cabins have dual bunk bed units (which have a double bed on the bottom). Men’s and women’s toilet and shower facilities for the cabins are located right outside the cabin door. The cabins are used by both group and individual casual bookings. 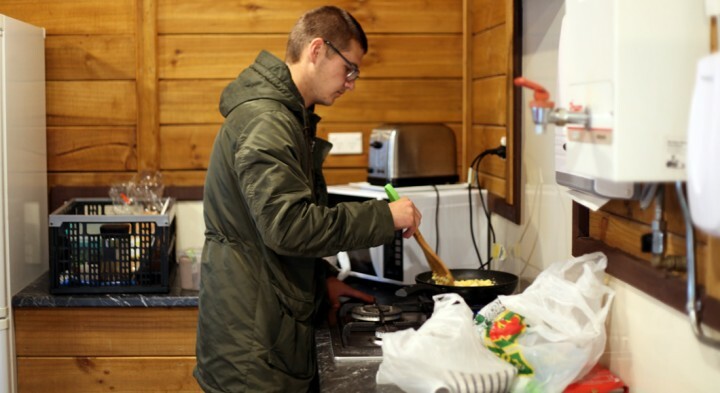 We have a communal kitchen facility for casual bookings and offer a self catering kitchen/dining facilities for groups. The Camp specialises in providing self-catering accommodation for group bookings. We have two kitchens fully equipped for group self catering. The Education Hall (‘Ed Hall’) is our smaller self catering kitchen/lounge facility. It has a kitchen and carpeted lounge/meeting area which can accommodate up to 30 to 35 people. The kitchen has two ovens, a microwave, toaster, commercial chiller (fridge) and large freezer. All pots, pans, crockery, cutlery and utensils are provided, you just need your own dish washing liquid, sponges, scourers, rubbish bags and tea towels. A FACILITY BOND is payable upon arrival for bookings which include a self catering kitchen facility. This Bond is refundable upon departure provided the facilities, grounds and equipment used are left in the manner in which they were provided. A minimum fee of $50 will be charged for any extra cleaning required. The Camp specialises in providing self-catering accommodation for group bookings. We have two kitchens fully equipped for group self catering. 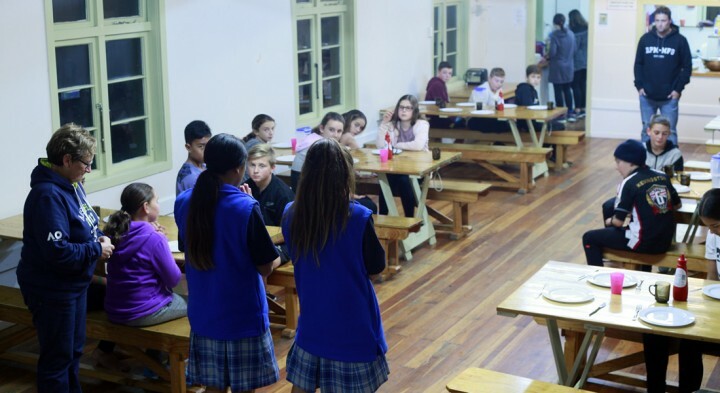 The Dining Hall is a restored wooden military mess hall and is our larger self catering kitchen/Dining facility. It has a large kitchen and dining hall with fold down tables and a small stage and can seat 80 to 85 people for a meal. It also has a simple outside courtyard with BBQ area, bordered by a small gentle stream and native bush. The kitchen has three ovens, a microwave, commercial toaster, commercial chiller (fridge) and freezer. All pots, pans, crockery, cutlery and utensils are provided, you just need your own dish washing liquid, sponges, scourers, rubbish bags and tea towels. A FACILITY BOND is payable upon arrival, for bookings which include a self catering kitchen facility. This Bond is refundable upon departure provided the facilities, grounds and equipment used are left in the manner in which they were provided. A minimum fee of $50 will be charged for any extra cleaning required. Camp Elsdon offers ten campervan powered sites and 20 grassed tent sites close to peaceful New Zealand native bush. 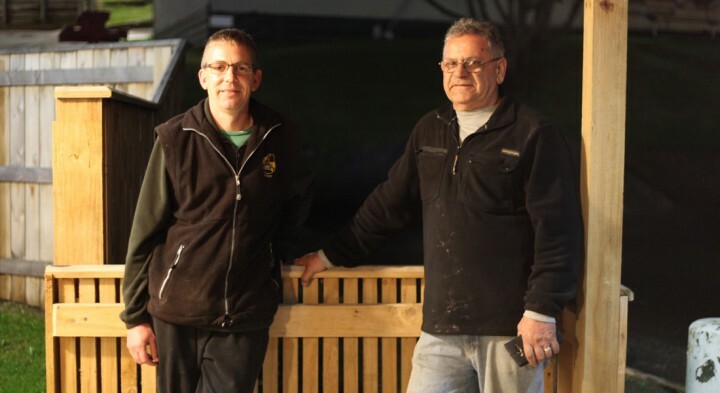 The campground is a simple and convenient stopover for those travelling between New Zealand’s North and South Islands – and is located 20 kilometres north of Wellington city on State Highway 1 which is the direct motorway link to Interislander and Blue Bridge ferry terminal. 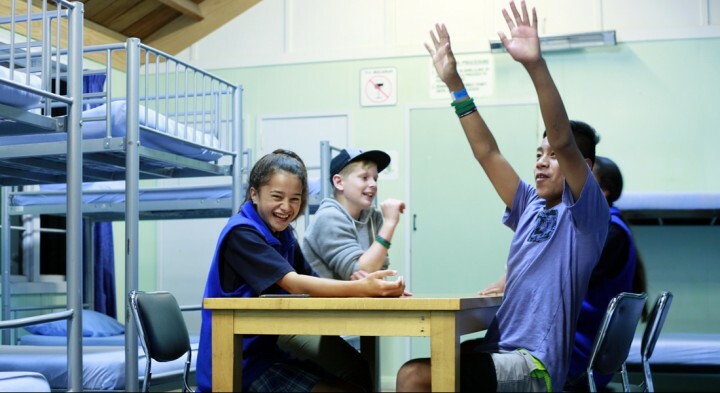 Many schools travelling long distances to visit Te Papa and other Wellington attractions know that Camp Elsdon provides a quiet night’s sleep after a long day. 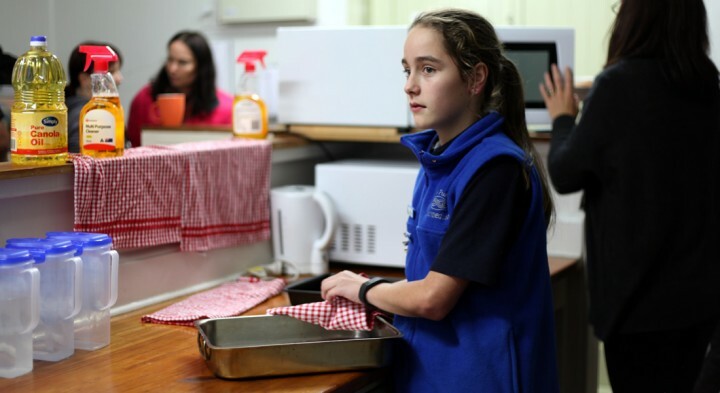 The Camp is located 20 kilometres (20 minutes) north of Wellington city on State Highway 1 and is nestled in a bush setting overlooking Porirua Harbour. We have o 94 beds spread across four buildings and a kitchen/dining room and hall for meetings or other activities. Wellington attractions include Te Papa, Parliament, National Libraries and Archives, Katherine Mansfield’s Birthplace, Botanical Gardens, Carter Observatory and Zealandia (Karori Park Sanctuary) – being only a few. 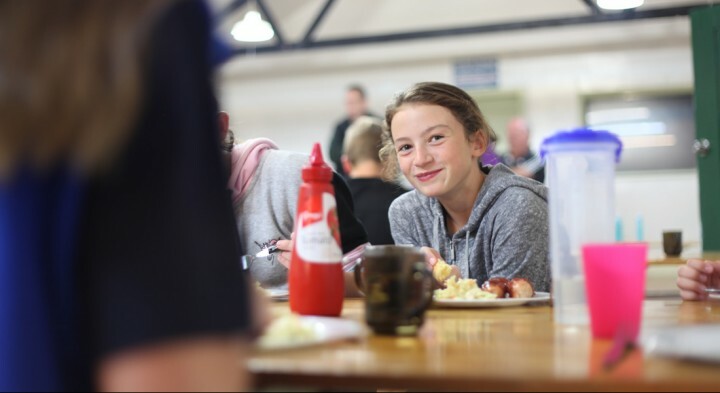 The Camp is also very handy (5 minutes drive) to the local Porirua city and shopping centres, Te Rauparaha Arena and Aquatic centre (with hydro slide/wave machine), Go Karts, Bowlands (ten pin bowling), adventure golf at Pirates Cove, and 10 minutes away from the NZ Police Museum and multi level confidence course at Adrenalin Forest. 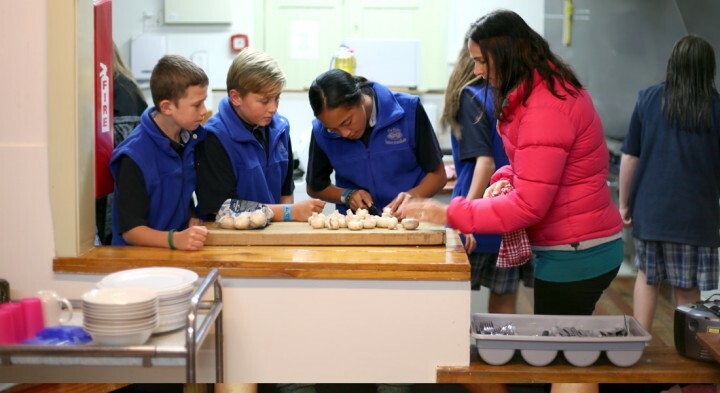 Camp Elsdon specialises in providing self-catering accommodation for school trips. We can also help you arrange catering for those who prefer to let someone else worry about the catering. We also enjoy visits from local school groups. Check with the Office for our special School group rates. Bottom sheet, pillow and pillow case provided. Camp Elsdon specialises in providing self-catering accommodation for church groups, sports teams, dance groups, family groups and reunions, and other events. We can also help with catering arrangements for those who prefer to let someone else worry about the catering. Bottom sheet, pillow and pillow case provided. Shared facilities. We have Lodge rooms and cabins for casual booking and dormitories (for groups of 8 or more). Our Campground also has campervan powered sites and grassed tent sites close to peaceful New Zealand native bush. 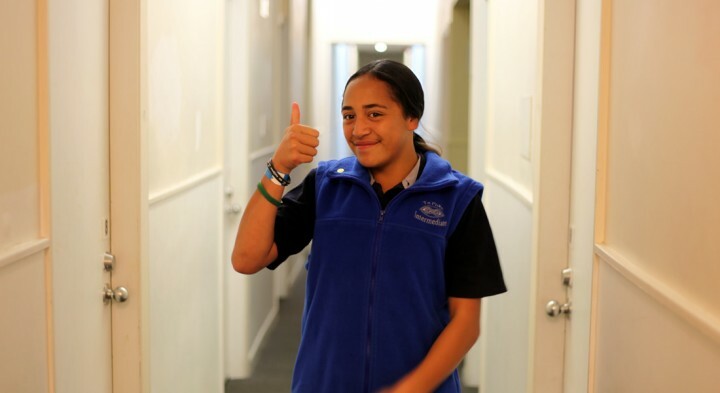 Located 20 kilometres north of Wellington, we are a simple and convenient stopover or resting place for those travelling to Porirua or Wellington. Bottom sheet, pillow and pillow case provided with beds. Shared facilities. We can do pets by special arrangement, just contact the office to enquire. We are supported by: Rainbow Creative, Olé Football Academy, Family Bakery, Mitre 10 and Go-man Construction. What would you like to book for?